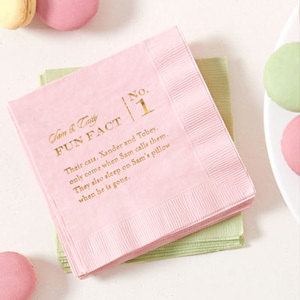 Our ever popular custom fun fact cocktail napkin will pair perfectly with cocktails and will give your guests a bit of trivia to consider while sipping. 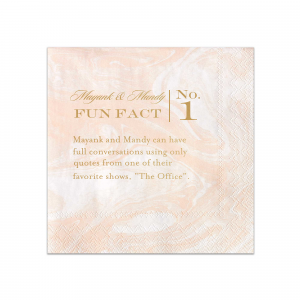 Your personalized fun fact wedding napkins will look fabulous in your theme colors. 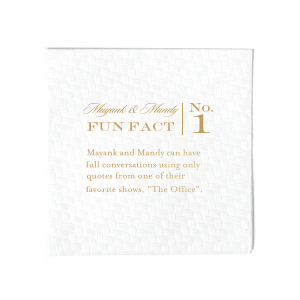 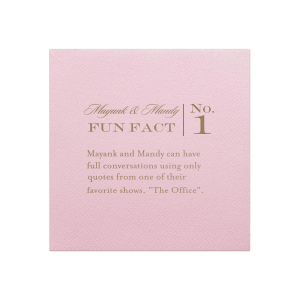 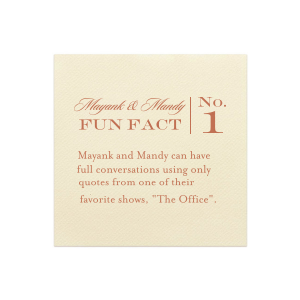 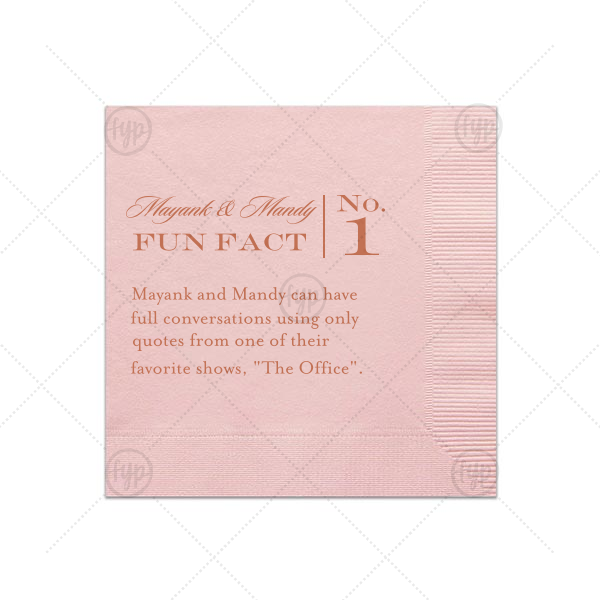 Plus, with your unique fun fact, they'll be as personalized as cocktail napkins can get!